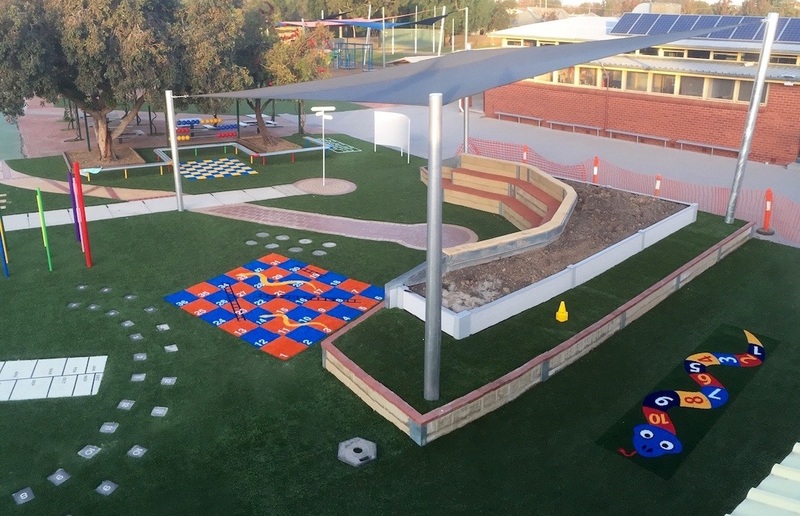 This project was just completed in Northern Victoria and we think it looks fantastic. 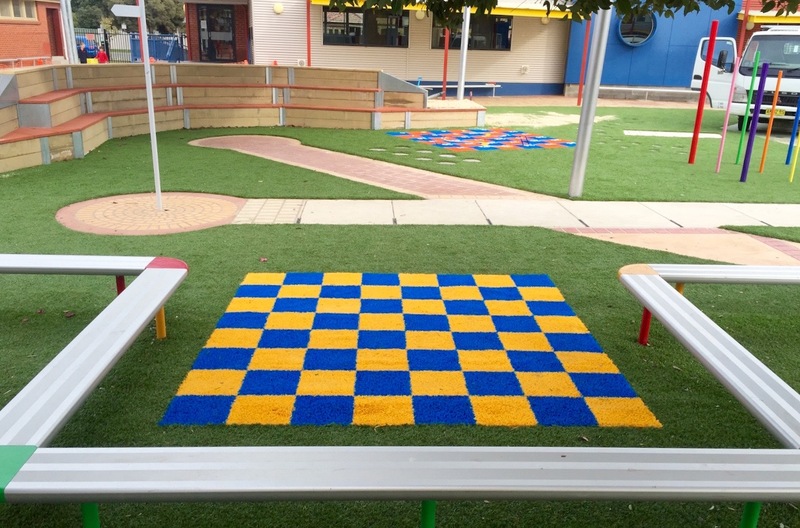 The Grassart elements - Snakes and Ladders, Chessboard, Snake Hopscotch and Crayon Hopscotch - left our warehouse on a Tuesday afternoon and these photos were taken that Friday. Imagine trying to do that, if you were cutting everything in! 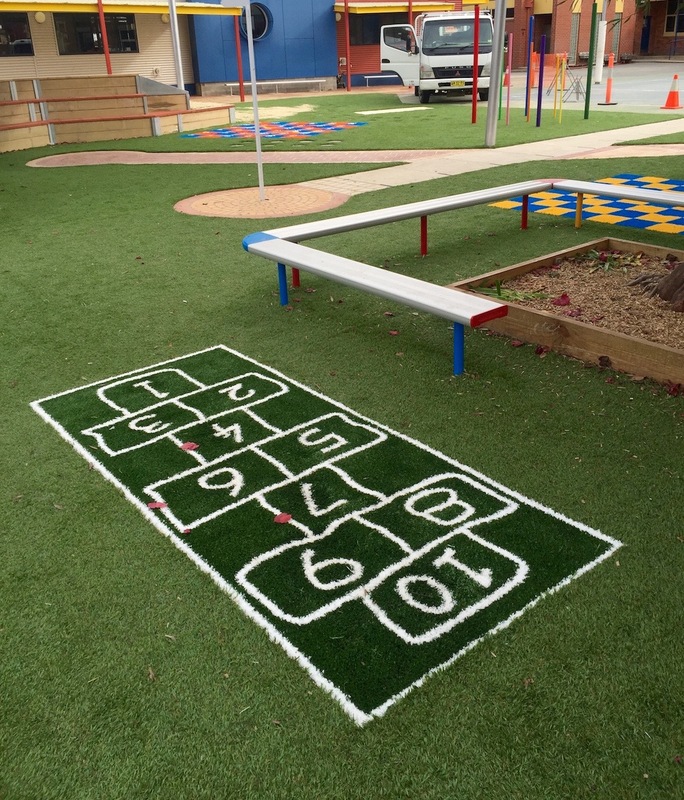 A great play area.